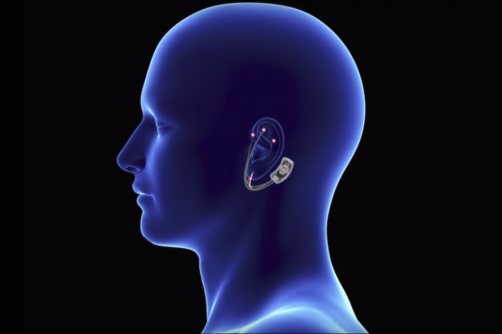 A device that delivers electronic pulses to the area around the ear, designed to stimulate the brain in order to mask symptoms of opioid withdrawal, is not part of a science fiction novel but the most recent medical device approval by the FDA. The NSS-2 Bridge is used for five days during the most acute period of opioid withdrawal, when those addicted to opioids experience severe pain, sweating and full body tremors. The device has only been tested in 73 patients, as part of a single-arm trial, but found a reduction of 31% in symptoms 30 minutes after beginning its use. Whilst the approval is based on a single-arm trial, there will remain questions over whether the device is effective enough to justify its use. However, the FDA clarified its decision by claiming that more needs to be done to provide support for those suffering from addiction, including innovative, low-risk options. The study on which approval was based found that 64 out of 73 patients, 88%, were able to transition to medication-assisted therapy after using the device. The image above shows how the device operates, with the component placed just behind the ear and with electrodes attached to the ear. It delivers electric current to a set of occipital and cranial nerves, ostensibly seeming to improve symptoms of withdrawal. It’s the first device approved by the FDA to help in the reduction of symptoms of opioid withdrawal. However, questions will remain about whether it can be deemed effective until it completes a controlled trial.